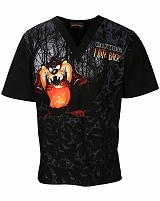 Cherokee Tooniforms are for the young at heart and for those who want to win over the young hearts. 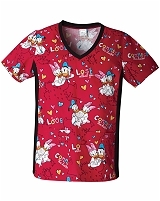 Featuring cartoon characters from kids' favorite shows, you'll find Mickey Mouse, Hello Kitty, Dora and even Curious George posing on these printed tops. 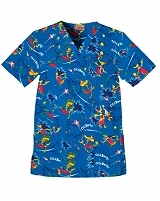 They are a great choice for pediatricians, pediatric nurses and dental hygienists who work with children and want to make them smile, though they are really for any medical professional who wants that youthful dose of energy. 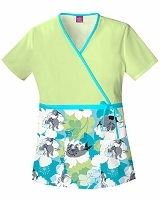 The bold and cheerful colors are bound to keep your spirits up and will co-ordinate with other Cherokee solid scrub bottomsto give you endless options for your scrub wardrobe. 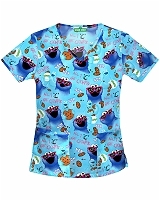 The many styles available as part of the Tooniforms line, will have you smiling too. 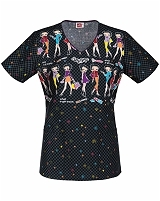 Mock wrap tops, empire waists, v-necks and round necks - all designed with a flattering shape and comfortable fabric. 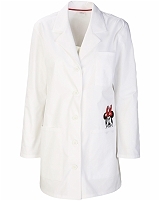 There are warm up jackets and t-shirts too, so regardless of the weather, you can wear your Tooniforms. 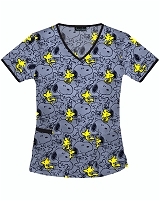 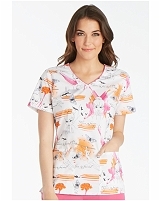 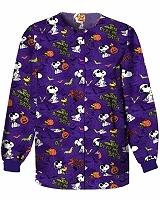 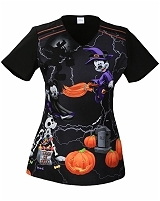 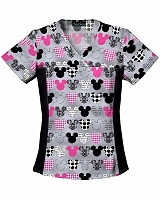 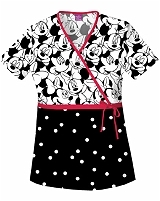 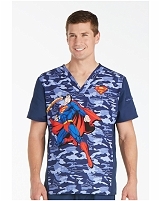 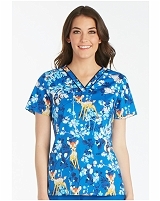 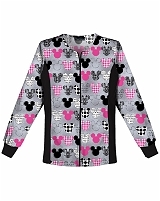 A really popular scrub top is the 6759B scoop neck top with a picture of Minnie on a swing. 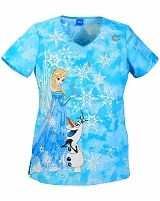 It is playful and light and loved by children and adults. 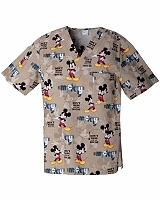 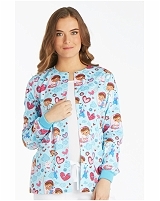 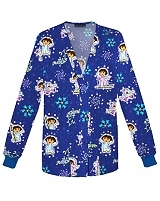 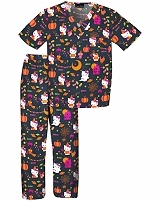 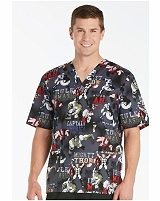 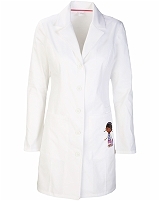 Mickey Mouse, Betty Boop or Tweety - Nursing uniforms has never been this fun!